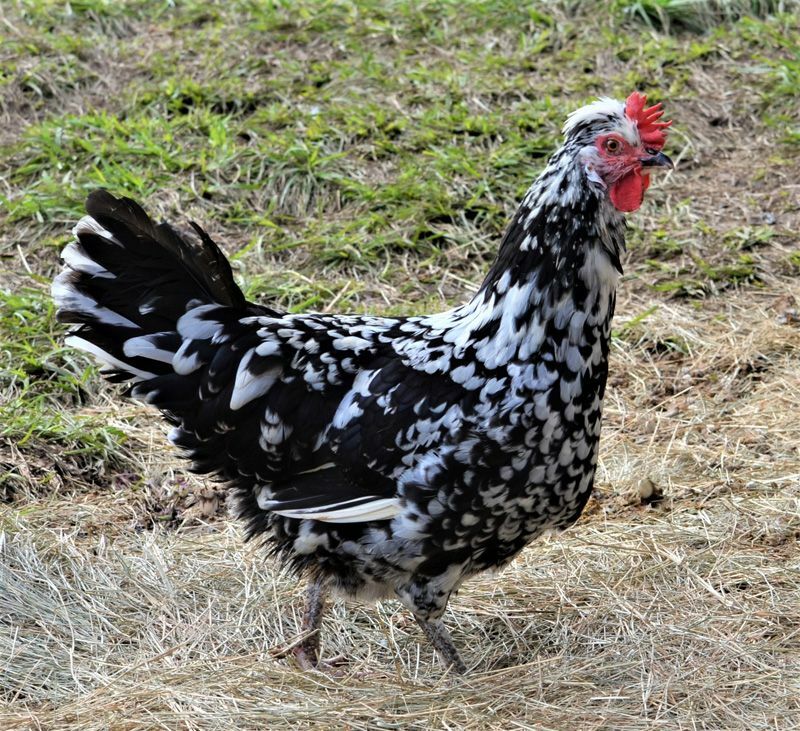 The lucky winner of this auction will receive 10 unsexed day-old Dampierre chicks, one of the rarest chicken breeds in the world and only now being introduced to North America for the first time. 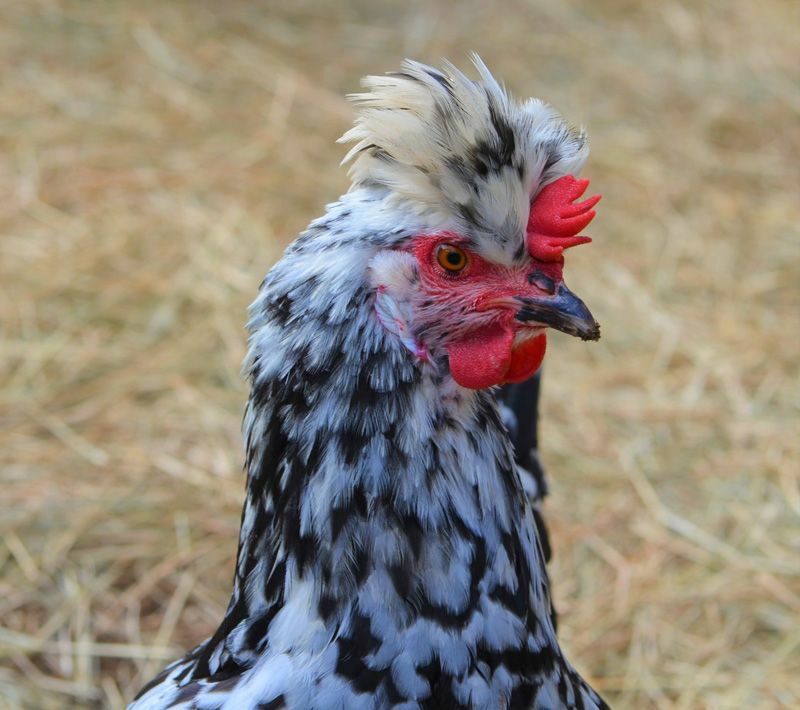 The Dampierre is the re-creation of an old French chicken breed, the Normande, that died out more than a century ago. Until the end of the 1800s the Normande existed, as you might have guessed, in the Normandy region of France. The Normande resembled its mottled cousin the Gournay, except the Normande sported a feather crest on its head. 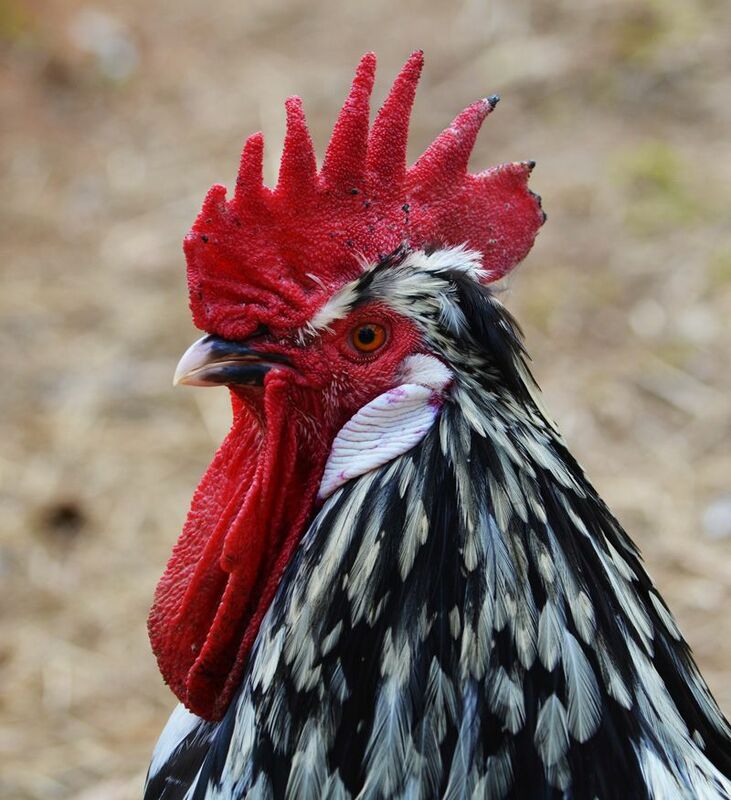 The Normande was known for its fine white meat, delicate bones, and abundant production of white eggs that the hens were willing to incubate and hatch. The pictures in this auction represent the quality of the stock Greenfire Farms’ breeding stock. The winning bidder will receive 10 or more unsexed day-old chicks. They will be vaccinated for Marek's. These chicks will be shipped within 3 weeks of the close of this auction. We guarantee live delivery and the health of the chicks for 72 hours after you receive them. The auction winner pays an additional $35 in shipping costs.